We have a scheduled paint-out tomorrow at Madrona Marsh. The marsh opens at 10:00, and closes at 5:00. While you are there, check out my show in the Nature center. By the way, the Pacific Art Guild will be going in there next. The weather report this morning for Wednesday predicted cloudy AM turning to afternoon sun, but you never know. Be sure to bring water, a hat, sunscreen, and a lunch, if you wish. We hope you will take a summer break and join us for the monthly paint-in with Fran Nichols! The hours are 9:30 - 2;30 and the price is right! $15 for non-Associate members and $10 for Associate members! Go to our website, look under classes, register, and even pay on-line! Look forward to seeing you there! 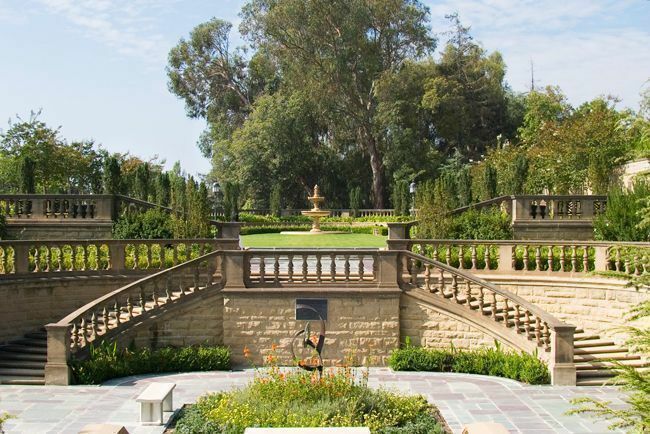 Please note that the PSSC Paintout scheduled for August 14th has been cancelled due to a photo shoot at the Greystone mansion. Fran will be with us on May 22nd. Please email Suzanne Kuuskmae if you plan to attend as there has to be at least 8 people to schedule the paint-in. Fran will give you constructive critique as you work! It has been not as great a year for Madrona Marsh this year since the rains came later this winter, but this is the best time of the year to paint. The Marsh is located in Torrance, behind Del Amo Mall. Park at the Nature Center at 3201 Plaza Del Amo, and walk across the street and through the gates to the Marsh. There is a fair amount of walking involved, so some sort of cart for your supplies is recommended. You might want to leave the supplies in the car at first, and go for a walk to see where you might like to paint. THERE MAY ALSO BE SOME AREAS THAT ARE CORDONED OFF DUE TO BREEDING MIGRATORY BIRDS. PLEASE STAY OUT ! One of the great things about painting here is that you can set up your easel and work all day from the same spot, but the view and colors change all day as the sun moves over Portuguese Point. Be sure to bring water, food, a hat, and sunscreen. They have restrooms. Fran is planning a workshop sometime in March/April so keep your eye on the website! DESMOND O’HAGAN - His workshop in September will soon be on the website so those of you who signed the interest sheet, keep your eye open for that chance to register and pay online. Go to: www.destination-art.net and click on “Classes” for more information and to register! We have a paint-out scheduled for this Friday, June 23, at Abalone Cove Ecological Reserve. A great place to escape the inland heat, and paint some pretty coastal views. The park opens at 9:00, and is open until dusk. Parking is $12 per car, but free for seniors 62+. What I like to do is keep set up in the same place, and let the sun do the moving, and every 2-2 1/2 hrs start a new painting. I want to promise you a sunny day, but we could just as easily have fog, or maybe both. There is no food there, so pack a lunch, bring water, a hat, and sunscreen. A cart for supplies might be a good idea, as well. It has been a great year for Madrona Marsh with all the rain. This should be a great time for a paintout. The Marsh is located in Torrance, behind Del Amo Mall. THERE MAY ALSO BE SOME AREAS THAT ARE CORDONED OFF DUE TO BREEDING MIGRATORY BIRDS. PLEASE STAY OUT! Once again, we are fortunate to have access to this lovely old private estate, located behind the gates in Portuguese Bend. Make sure you bring water, food, a hat, and sunscreen. Please take your trash home with you. For additional instructions on how to locate and access the paint-in site email David Wolfram at David.wolfram@yahoo.com. Sign up with David Wolfram to receive information and notices on PSSC paint-outs. The park opens at 9:00, and closes at 4:00. Parking is free for seniors 62 and over, otherwise, you might want to carpool, as it is $12 for more than two hours. The great thing about painting here is that you can stay in one spot, and let the sun do the moving for you. Come early, bring a lunch, water, and sunscreen. Come paint Tuesdays with Fran Nichols! Paint-ins will start September 13 and every Tuesday after that. PSSC Members $15 per session. We got an invite from Paula Brown and its for May 7th, not April 30th! I am going to go over to Ballona Wetlands to do some painting on Saturday AM for their first Saturday of the month open to the public access day. They open at 9AM and I think close at around noonish...maybe a bit later. I usually docent work with them, but I am going to paint instead! This is a small area, some good views: old wooden train trestles at a platform to paint from as well as some wetland canal stuff. If anyone wants to come, feel free to pass this note along...I will be there at 9AM at the sign in desk. Join Dave Wolfram at a paintout at Miramar Park this coming Tuesday, April 26th from 9:00 AM to 1:00. The address is 201 Paseo De La Playa, Redondo Beach CA 90277. There is plenty of paid parking. Great beach, ocean, and PV views. Come on out to Destination; Art for our Tuesday Paint-In. Fran is expected to give critiques! $10 - a very inexpensive way to spend a relaxing day. If you can, let me know if you will be attending! This coming Saturday, the 26th, we will be having our first paintout of the year at Madrona Marsh from 12:00 to 4:00. The marsh is at its best right now, with lots of water, and spring growth, including wildflowers. Park in the lot across from the entrance at Plaza Del Amo. I have included a map to give you an idea of where to go, although there are other nice areas, if you wish to explore before you start painting.. Please be advised that a few areas will be closed off so that the resident wildlife can breed in peace. Don't forget, bring a hat, sunscreen, water, something to sit on, and maybe somehing to eat. The marsh is open at 10:00, if you wish to come early, and the gates are locked at 5:00. It should be a nice day, hope to see you out there! She will be doing another two workshops for pastelists on April 6 and May 18 from 10 - 3:30 --$70. Just a reminder that you are invited to paint on Tuesday at our usual Paint-In held at Destination: Art. Come join the fun! We also have a class on Fridays with Rodolfo Rivademar from 9:30 - 12:30 in which he is advising both oil and pastel students. $130 for four sessions or $35 for individual classes. Let me know if you are interested in joining us; the next session begins this Friday. The paint-in for PSSC Members is on Tuesday, January 26, and Fran Nichols will be there to give critique. There will also be members of Destination: Art who are studio artists attending so we will have some others we can show our art work. Let me know if you plan to attend. Hope to see you at your special day, October 20 for a great day of painting. Check your calendar, and Let me know if you plan to attend.If you need a calendar for the new year, our special edition of our paintings of historic buildings in Old Torrance is just hot off the press for $12.Ask to see it when you are there. Join us at Destination: Art on August 18th from 9:30 to 2:30. It's fun painting together, and we can order out for lunch from one of the great restaurants in Old Town Torrance. Order out for sandwiches from the Torrance Bakery or walk across to the Mexican restaurant or hamburger joint. Or bring your lunch! Fran will be there to give you assistance and critique at the end of the day. We also have space outside for those who like the fresh air!